NEW YORK, USA, August 7, 2018 /EINPresswire.com/ -- The National Association for Multi-ethnicity in Communications (NAMIC) has named Mediacom Executive Vice President Italia Commisso Weinand2 and TV One’s General Manager Michelle Rice3 as honorary co-chairs for the 32nd Annual NAMIC Conference1, October 16-17, 2018 at the New York Marriott Marquis. As a Diversity Week anchor event, this year’s conference theme, “Empower Leaders, Create Superheroes,” focuses on professionals powering up their skills and blasting through the barrier to innovation, offering attendees the opportunity to explore diversity and inclusion in this multimedia landscape. CNN’s Don Lemon kicks off the conference as the opening keynote speaker. 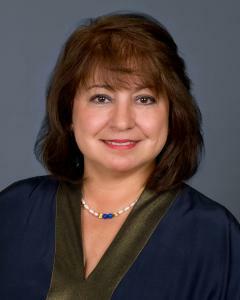 Founding member and Executive Vice President, Programming and Human Resources at Mediacom, Commisso Weinand established the company’s early operations, human resources, marketing and programming policies and developed a family-oriented, corporate culture based on fairness, diversity and career growth. Italia is a longtime industry champion and has been named among the “Most Powerful Women in Cable” by Cablefax Magazine for the past ten years. She is also a Cable TV Pioneer and Broadcasting & Cable Hall of Fame inductee and was honored as a Wonder Woman by Multichannel News and the WICT Chapter of New York in 2004. 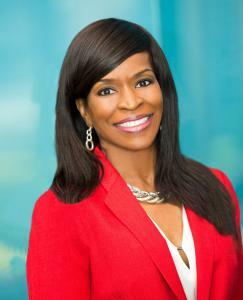 Recognized as one of the “Top 100 in Cable” in 2018 by CableFAX Magazine Rice serves as the General Manager for TV One and the Executive Vice President of Content Distribution and Marketing, where she is responsible for overseeing and leading all business, operational, and creative aspects of the network. 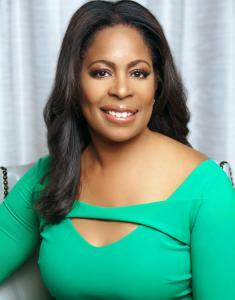 Immediate past president of the national NAMIC Board, Rice began her cable industry career in 1993 through the Walter Kaitz Fellowship program at Black Entertainment Television (BET) and continued on to work as Director of Affiliate Sales/Special Markets at NBC Cable Networks. “NAMIC is delighted to have such powerful leaders co-chairing the Annual NAMIC Conference – we are looking forward to the best conference yet,” said Joiava Philpott, Vice president, Regulatory Affairs, Law & Policy Department, Cox Communications and chairperson of the NAMIC National Board of Directors. The 32nd Annual NAMIC Conference will be highlighted by a broadly, influential roster of the industry’s notable business leaders and subject-matter experts. This year’s agenda will soar to new heights of knowledge and courage by amplifying voices from across the cultural spectrum. Additionally, conference highlights include the L. Patrick Mellon Mentorship Program Luncheon, the Annual Awards Luncheon honoring the recipient of the Mickey Leland Humanitarian Achievement Award and celebrating the 2018 class of Next Generation Leaders and Luminaries, and the Excellence in Multicultural Marketing Awards (EMMA). The conference will continue its tradition of powerful, provocative education sessions, plus networking events. Sponsors for the 32nd Annual NAMIC Conference include ARRIS, Charter Communications, Cox, Discovery, HBO, Nokia, NCTA, Turner, TV One, Univision Communications Inc. and The Walter Kaitz Foundation. To register for this event visit NAMIC.com/conference. Group discounts are available. For more information and sponsorship inquiries contact Sandra Girado 212-594-5985 Sandra.girado@namic.com. NAMIC (National Association for Multi-ethnicity in Communications) is the premier organization focusing on multi-cultural diversity, equity and inclusion in the communications industry. More than 4,000 professionals belong to a network of 18 chapters nationwide. Through initiatives that target leadership development, advocacy and empowerment, NAMIC collaborates with industry partners to grow and nurture a workforce that reflects the cultural richness of the populations served. Please visit www.namic.com for more information about NAMIC and its many opportunities.